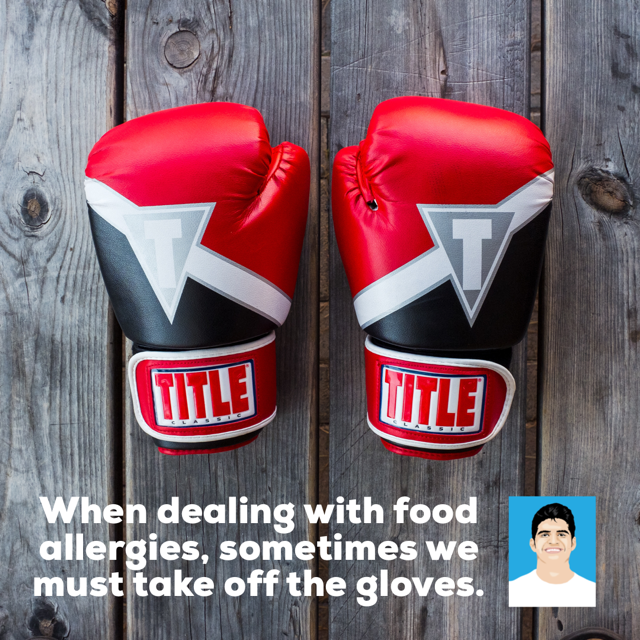 BLOG POST #145 — I’m sitting at the coffee shop thinking about the tragic food allergy headlines from the past few weeks. I'm waiting for Mr. A., my allergy, to arrive for our weekly talk. When he arrives, he waves to me from the across the shop. He approaches my table and extends his hand. I immediately stand up, make a fist and, with all my might, hit him squarely in the face. He falls to the floor. I grab my bag and walk away.